For those of you who don't know (I see a lot of folks from the Org here), AMV League is a nationwide, multiconvention AMV Tournament, the first and only one of its kind. AMV League consists of several Qualifying Events that happen at conventions just like regular AMV contests. BUT - each Qualifying Event winner goes on to compete in the AMV League National Championships for the title of Best AMV of the Year! For those of you who've followed AMV League in the past, we've listened to all the feedback we've gotten from editors, so with the new season comes new rules - meant to make this the most amazing year of AMV League yet! 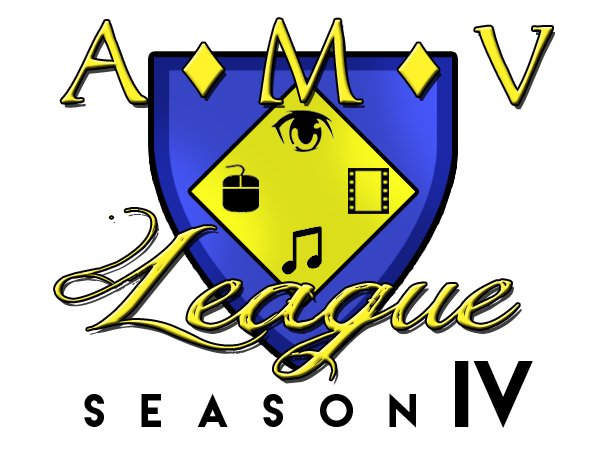 We look forward to seeing everyone at AMVNews excited about AMV League Season 4, and we can't wait to see all your incredible videos!